Southampton - Southampton's faint top-four Premier League hopes were given a boost as James Ward-Prowse and Graziano Pelle ended goal droughts in a 2-0 victory against relegation-threatened Hull on Saturday. The Saints went ahead through Ward-Prowse's penalty in the 56th after Alex Bruce fouled former City team-mate Shane Long. Hull goalkeeper Steve Harper was unable to stop Ward-Prowse's venomous strike into the top right-hand corner for his first goal for the club in all competitions since 2012. A late strike by Pelle in the 81st secured Southampton a hard-fought win, taking the team provisionally fifth and level with last year's best-ever Premier League points tally of 56. 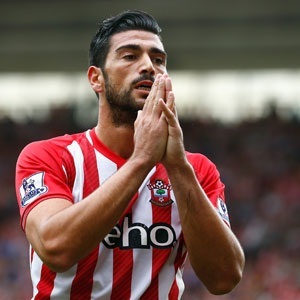 It was Pelle's first league goal since December 20. Hull's sixth straight loss to Southampton leaves Steve Bruce's side worryingly close to the relegation zone.